A close-up of a woman holding a wedding program. 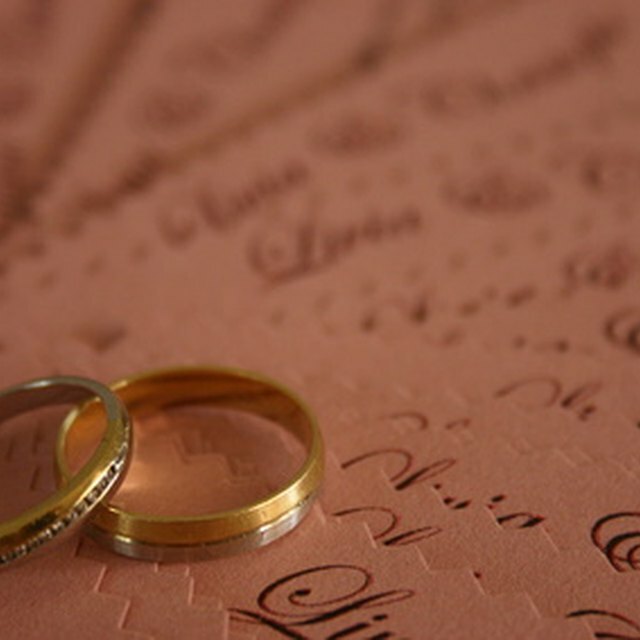 2 How Do You Address Wedding Invitations to the Officiating Pastor Conducting the Service? Your wedding program should mention everyone special to you and that includes stepparents. Most couples choose to include stepparents along with biological parents. However, you could include them in an “Honorable Mentions” section of your program. Regardless of which option you choose, treat all stepparents the same way in the wedding program. Most wedding programs have a section where the names of the bride and groom’s parents are listed. The stepparents may be included in this section. For example, the bride’s father and his new wife would be listed on one line, and her mother and her husband could be listed on the next line. With this approach, you do not need to point out that those individuals are stepparents since guests can figure that out. Some couples choose to include an “Honorable Mentions” section in their wedding program for close friends or family members not listed elsewhere. You could list your stepparents in this area. The person’s name usually is listed along with the relationship to the bride and groom. This option is most appropriate if the stepparent is no longer married to the biological parent but still is close to the couple. If one of the biological parents has bad feelings toward the stepparent, add the stepparent here and only list the biological parents with the rest of the wedding party.